I was lusting after a jumper from Topshop not so long ago, which was so similar to this, but I couldn't bring myself to spend £45 on one jumper. When I spotted this one in Primark for almost a quarter of the price, I was so glad I didn't splurge on the other one... this one is just as nice! It's part of their Christmas knitwear range, so I'm pretty sure you'll still be able to pick these up in store. When I was sent this gorgeous dress from Chichi, I didn't want to be restricted to wearing it only once or twice for a night out, so I decided to experiment with dressing it down. I've been known to throw a jumper over a dress in the past, and this dress really works perfect when styled this way because of all the detailing on the front. 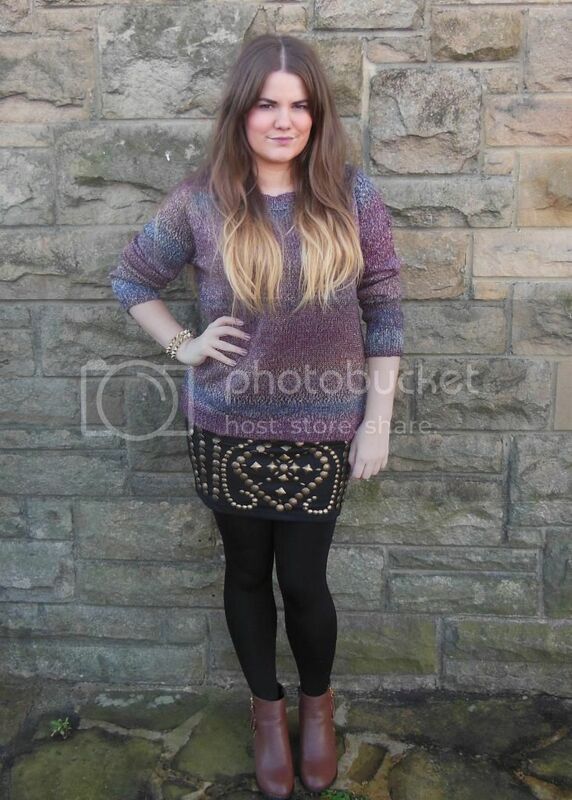 It just looks like I'm wearing a studded skirt. 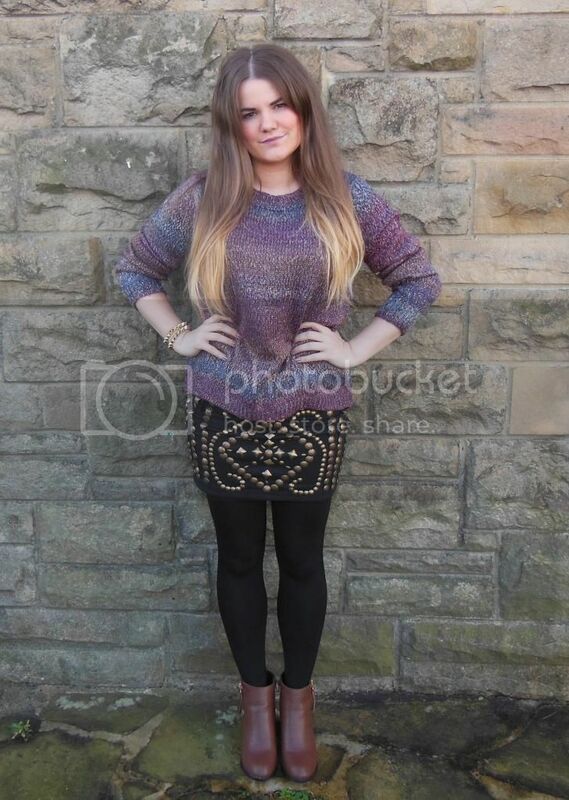 Worn with my Primark cosy tights (the best invention ever!) 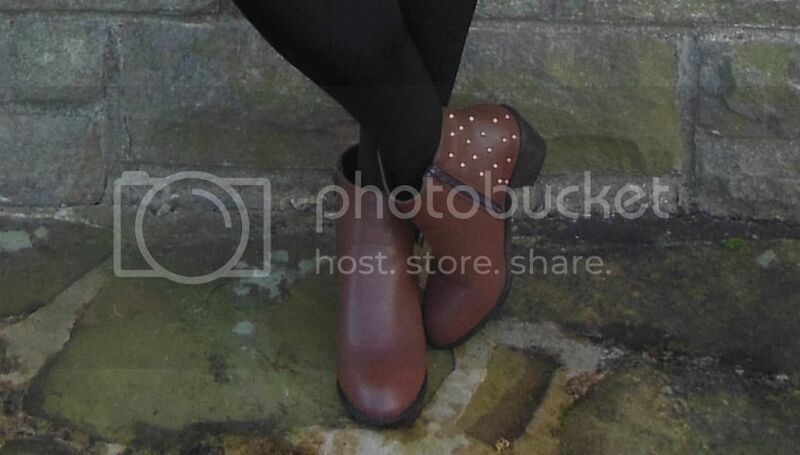 and these contrasting, studded boots which I am practically living in at the moment, due to their comfort and versatility, this is one of my favourite comfy/stylish/warm outfits for this time of year. I hope these photos are okay quality... I ran out of storage on my blogger photo account today, so I had to upload these to photobucket. Let me know if they're okay, because if not, I'll change them. If you haven't already, make sure you enter my Christmas present giveaway. I'm addicted to the Primark cosy tights too! 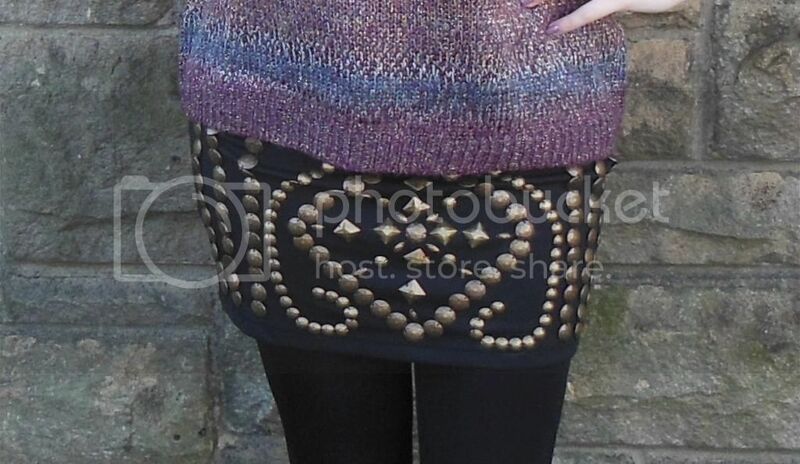 Lovely outfit, it's great how you've mixed the studded dress with such a cosy looking knit. 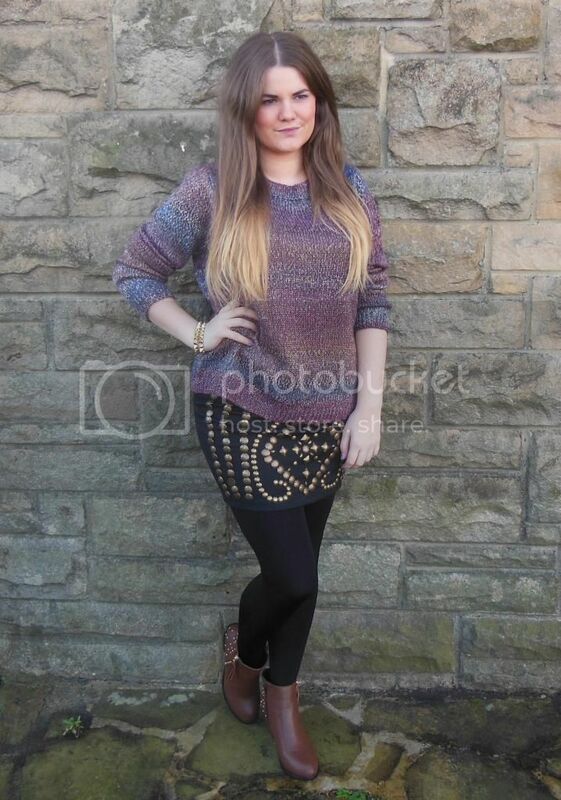 Beautiful hair and loving the sweater hun! The dress looks amazing, love the detail..
You're very pretty! I especially love the skirt :) Have a nice day! You look so beautiful.Getting FREE Christmas Gifts Here,http://www.japan-lingzhi-2daydiet.com/Christmas.html.